It’s summer again and most practices are in the swing of the preventive medicine push. As the bugs come out, much of our time is spent communicating with clients about preventing the clinical diseases associated with fleas, ticks, mosquitoes, and other vectors. The exceptionally mild winter in many areas of the country gave rise to an early spring and predictions for a more intense risk of parasites. In April, the Companion Animal Parasite Council (capcvet.org) released a report predicting increased risk of heartworm disease nationwide (petsandparasites.org). This initial “parasite forecast” is based on National Weather Service data, weather trends, parasite prevalence statistics, and the collective opinion of participating parasitologists. This fall, CAPC plans to issue another parasite forecast, expanding their predictive forecasts to include ticks. These forecasts, along with other incidence publications, can be utilized to support a clinic’s messaging and are often integrated into client communication tools, such as in-clinic posters or handouts, emails, and newsletters as well as social media and website content. While any exercise that increases pet owner awareness is good for preventive medicine, we often wonder if these forecasts will change our clients’ perceptions or what we do in our practices. From a day-to-day perspective, does awareness alone influence our clients’ buying behavior or are there more factors that shape this issue? CAPC Releases Public Service Announcement on Heartworm Disease. To view AAHA’s State of the Industry 2010 Review presentation, visit trends.aahanet.org/uploads/2011AAHAStateoftheIndustryReport1.pdf. The American Heartworm Society (heartworm society.org) reports that 64% of dogs leave their veterinarians’ offices without heartworm preventive. According to the American Animal Hospital Association’s (aahanet.org) State of the Industry 2010 Review, less than 40% of dog owners who visit their veterinarians regularly purchase preventive products from them as well. Only 1/3 of veterinary practices audit patient compliance for preventive products on a regular basis. From our perspective, the real challenge of client compliance and parasite prevention isn’t just awareness—it’s the reality that more and more consumers are seeking preventive products outside the traditional veterinary channels. So why are pet owners looking outside the veterinary practice for parasite preventives? Pet products that were once only available from the veterinarian are now everywhere: on television, online, and on retail shelves. Because our profession has traditionally refrained from marketing, veterinarians have naturally dropped from the top of the consumer’s mind when they are purchasing these products. Instead, pet owners turn to the first places that come to mind—the outlets that expose them to these products on a regular basis. In retail, convenience can be one of the most significant drivers of consumer purchase behaviors. But convenience is not restricted to the Internet, big-box retailers, such as Wal-Mart and Target, have tremendous influence on the American consumer. According to Wal-Mart, Inc, more than 140 million Americans shop in their stores every week. The average pet owner will make more trips to the grocery store in a month than they do to his or her veterinarian in a year. It’s just a statistical fact that pet owners are more likely to be at a retail store than a veterinarian’s office when they remember that they need preventive products. 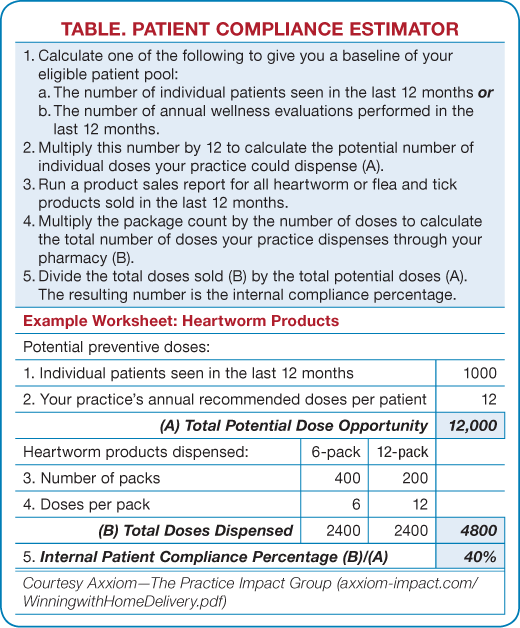 Three boxes of the same heartworm preventive are available at two different veterinary clinics (A and B) and one online store. Clinic A sells the product for $50; the online store for $40. In the consumer’s eye, it’s the same box, same experience, same result, but more expensive when purchased through his or her veterinarian. Clinic B sells the product for $55; however, instead of just pushing a product, the clinic chooses to go one step further. Each month the client is reminded by text or email to administer the monthly dose. Two months before a refill is needed, the client is sent a “refill reminder,” which also mentions that the clinic is happy to mail the refill to the client’s home. One month prior to the needed refill, the clinic sends another reminder that includes a small incentive for purchasing, such as a 5% to 10% discount to be used for the refill or the client’s next visit. It’s the same product, but a wildly different customer experience. There is no quick fix, but several tools are available to today’s practitioners that can make a difference in their preventive programs. The clinician makes recommendations to a pet owner in the examination room; then the technician or receptionist handles the discharge. The clinician heads to the next examination room and has no idea if the client purchased the product, decided to wait, or chose a different product. The staff does not monitor or track recommendation compliance and the clinician doesn’t have time at the end of the day to audit records. Most practices have yet to establish a good system for tracking patient compliance, but it’s the first step in making a positive change in your preventive program. If you’re interested in making a quick assessment of your own compliance, a simple compliance estimator can be found at axxiom-impact.com/WinningwithHomeDelivery.pdf (Table). Hank Swartz, DVM, MBA, is a founding partner of Veterinary Metrics, Inc, and an industry expert on internal marketing and patient compliance. According to Dr. Swartz, there are simple steps every clinic team can take to improve patient compliance. “The foundation for improving compliance lies with each practice’s wellness standards of care (WSOC) and creating supporting reminder entries in the practice management software. The WSOC should include the core preventive products recommended by the practice with preset reminder repurchase intervals. It’s hard to compete with online retailers unless you make the effort to have a presence yourself. Home delivery platforms are available from several providers that allow you to offer a prebuilt, customized online store. One of the most interesting is the RemindMe Program, available from VetSource (vetsource.com). It establishes a monthly “touch point” between the practice and pet owner. It enables the client to spread out the cost of preventive products across the 6-month period. Each delivery acts as a built-in monthly dosing reminder. If you’re really feeling the strain of retail competition, consider changing your product offering. There are preventive products on the market today that are more tightly monitored in their distribution than others. 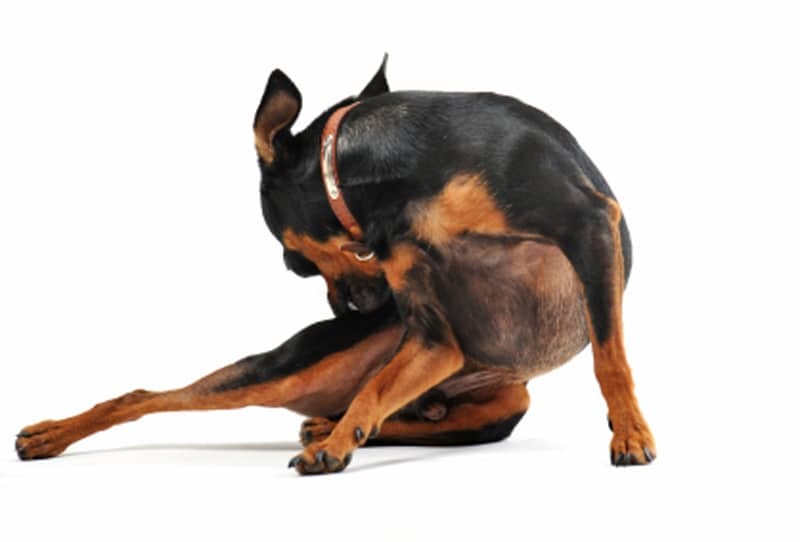 Multiple manufacturers market the use of tracking technology for flea and tick products as a way of ensuring their product line is only available through a veterinarian. Using a unique route of delivery is another option. As an injectable product, ProHeart 6 (animalhealth.pfizer.com) may only be administered by a licensed veterinarian. We acknowledge that there are always ways around these restrictions. But if you find your practice under significant price pressure for traditional products, it’s worth thinking about ways to differentiate yourself from the rest of the market. This article highlights several ideas that support a comprehensive preventive medicine program but it’s important to recognize the most influential tool: the in-clinic conversation. As veterinarians, we still are the most influential member in a pet owner’s decision making. It’s important that we, as a profession, don’t lose sight of the importance of the “personal touch” and take the extra examination room time to ensure our message is heard.The right program varies between practices and we only presented a few ideas. There are many more programs ongoing in the veterinary industry that have been presented previously. Heartworm Hotline: Heartworm Testing—A Yearly Necessity (May/June 2012, page 16): In this article, Dr. Clarke Atkins recommends offering free yearly heartworm testing when clients purchase one year’s worth of heartworm preventive. 12.12.12 Campaign (join121212.com): This campaign offers pet owners $12 off 12 months of heartworm preventive purchased from their veterinarians. The campaign also provides practices with several tools for pet owners, including monthly email reminders and education materials and web resources (merial.com). Preventive products, along with the entire in-house pharmacy, will be a topic of great debate for the foreseeable future. But as the pet owning market continues to evolve in their expectations and needs, there are options available to us that will enable today’s veterinary practice to maximize patient compliance while remaining competitive. Travis Meredith, DVM, MBA, Diplomate ACT, and Christine Meredith, VMD, are Managing Partners of Axxiom—The Practice Impact Group. Dr. Christine Meredith received her veterinary degree from the University of Pennsylvania School of Veterinary Medicine and is a former owner and operator of an AAHA-accredited practice outside of Raleigh, North Carolina. Her professional interests include practice development through advanced services and building effective marketing messaging. Dr. Travis Meredith received his DVM from Texas A&M University followed by residency training in theriogenology at University of Pennsylvania. He then received his MBA from University of North Carolina—Chapel Hill. His professional interests include new practice development and transition planning for the practice owner. You may contact the authors at tmeredithdvm@axiomm-impact.com.